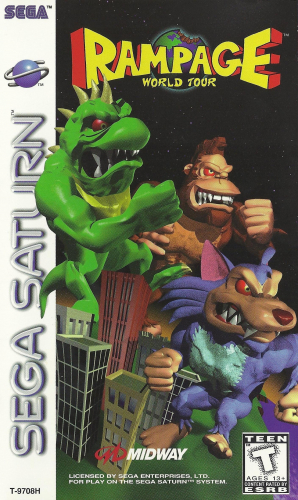 RAMPAGE WORLD TOUR starts with the three main characters being mutated into large monsters. Upset by this turn of events, the monsters seek revenge on the company that is responsible. They travel throughout the world destroying everything in their path in hopes of getting the plants responsible for producing the mutating chemical. Help the monsters get their revenge in RAMPAGE WORLD TOUR.